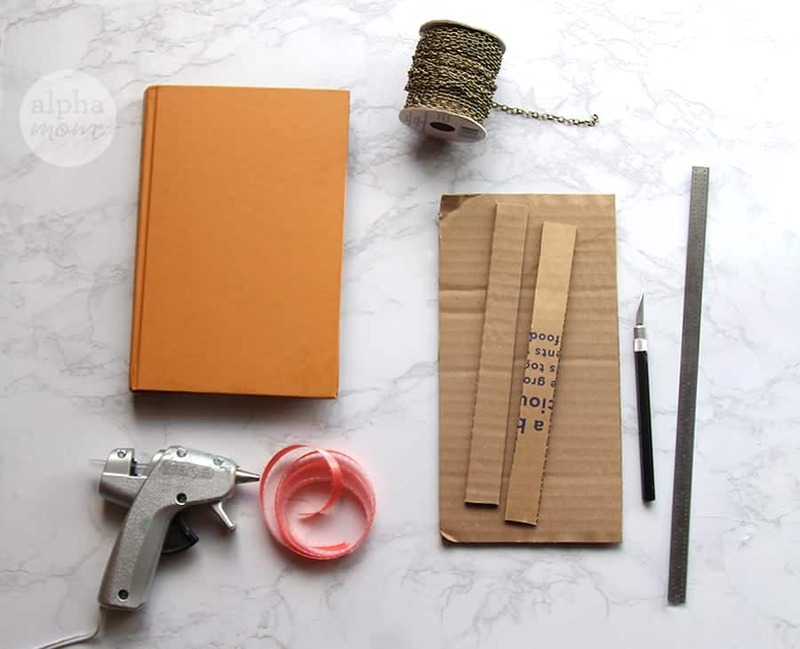 I shudder when it comes to crafting undamaged books. However, if you have damaged hard-covered books or when at a used books store or book fair ask whether they have a “damaged books” pile. 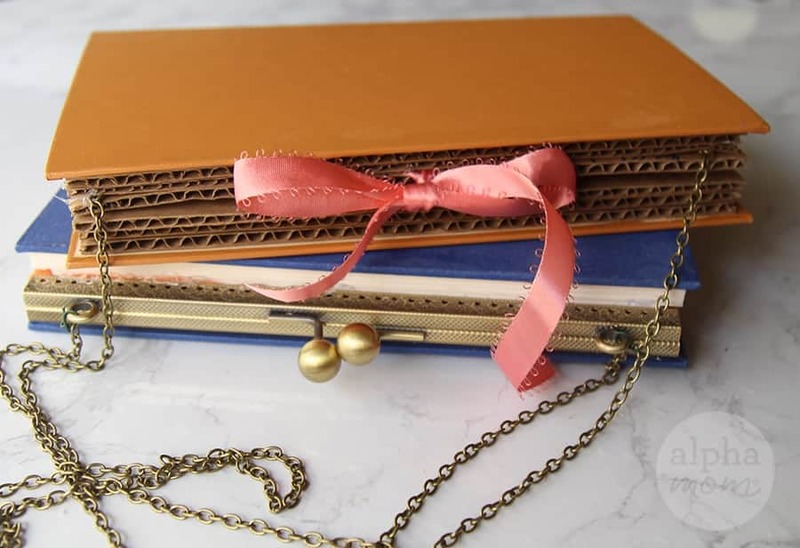 Here, we teach you how to upcycle or repurpose damaged hard-covered books into a purse to give it new life. Step one: Deconstruct your damaged book. 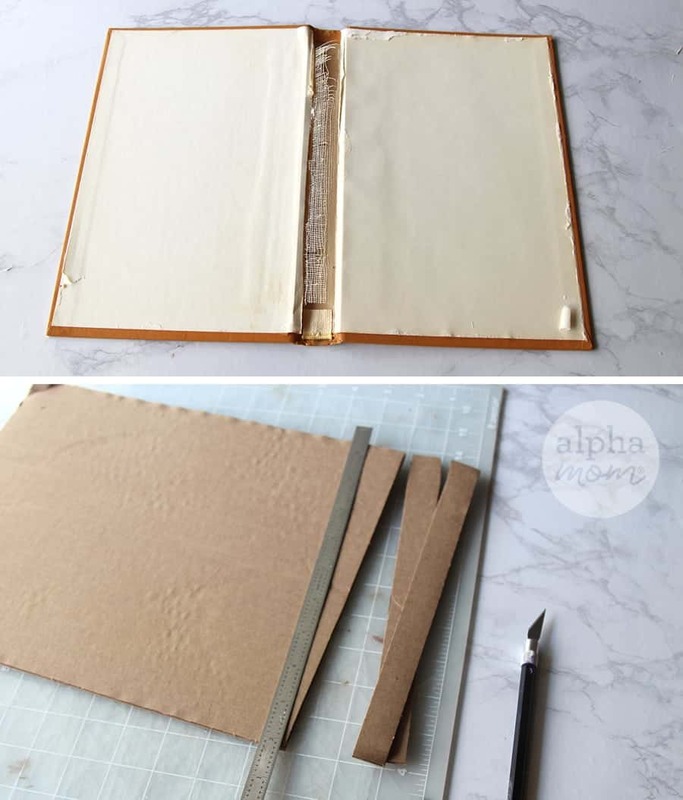 You can do this by carefully cutting the pages along the center with your exacto knife. Save your pages they might come in handy for another craft. Step two: Cut six 1/4-inch thick cardboard pieces that are the length of your book. Cut twelve 1/4-inch pieces that are the short edge of your book (minus the 1/4 inch of the long strips). See below for clarification. The long pieces will create the long edge of your frame and the short pieces will create the short edges. If your book is extra thick you might need more pieces. 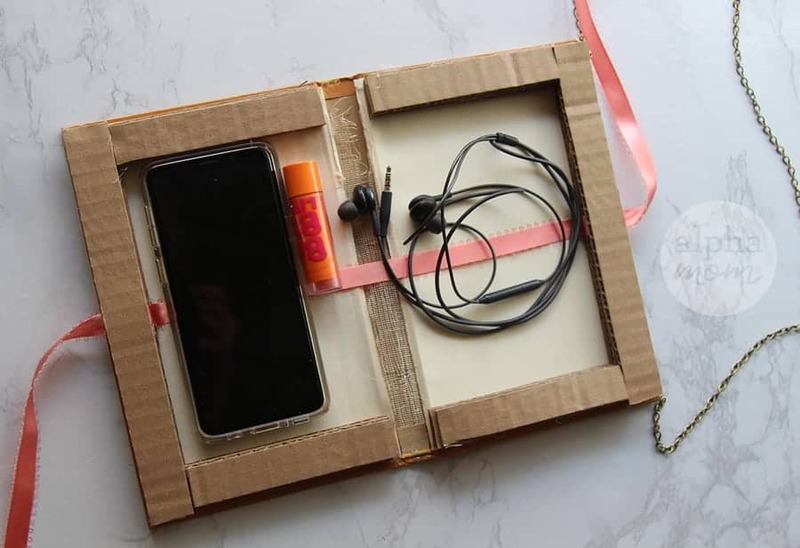 Test it out by putting the pieces in place and closing your book to see if they fit. 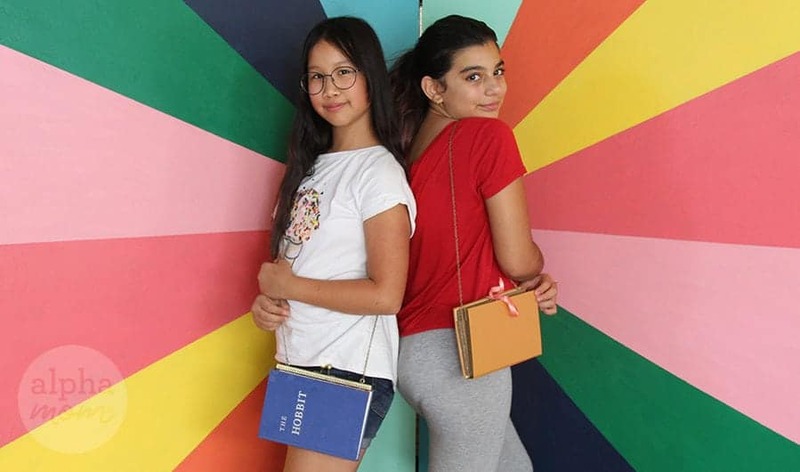 The thicker your original book, the wider your purse will be so a thick book might work well. 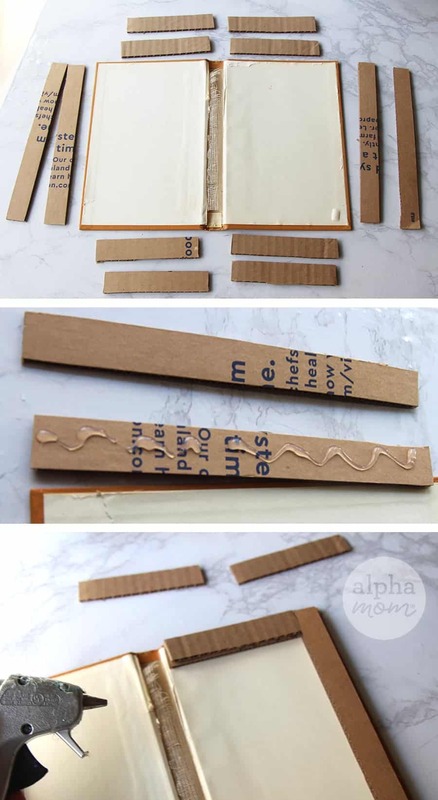 Step three: glue your cardboard strips to your book starting with the long edges first. Glue one piece down to the book all they way around and then another layer on top of that. 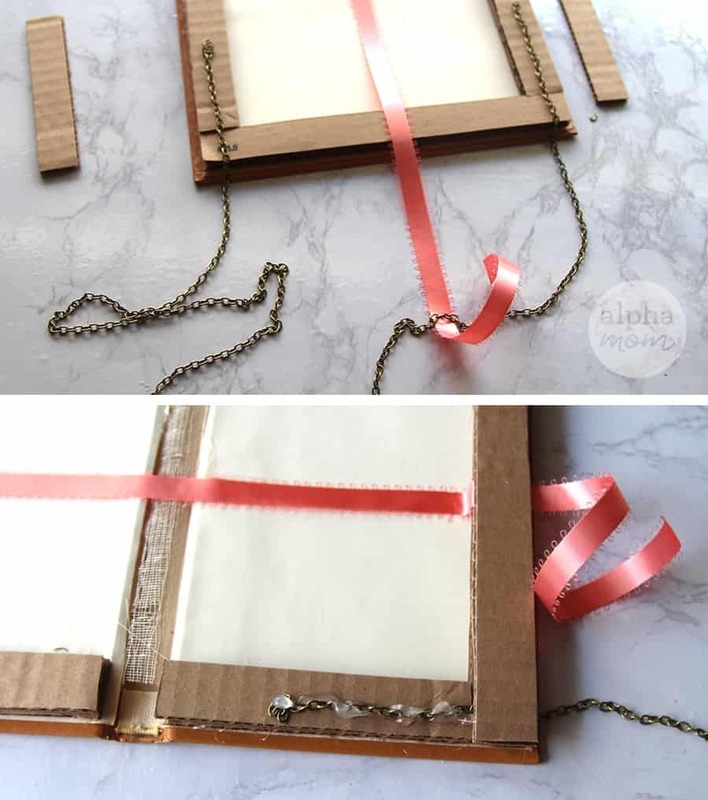 Don’t glue the last layer yet because you need to insert your ribbon and chain first. Step four: lay your ribbon across the center of your book horizontally, making sure to leave a few inches over the edge that will be left so you can tie a bow. Glue it down all the way across. 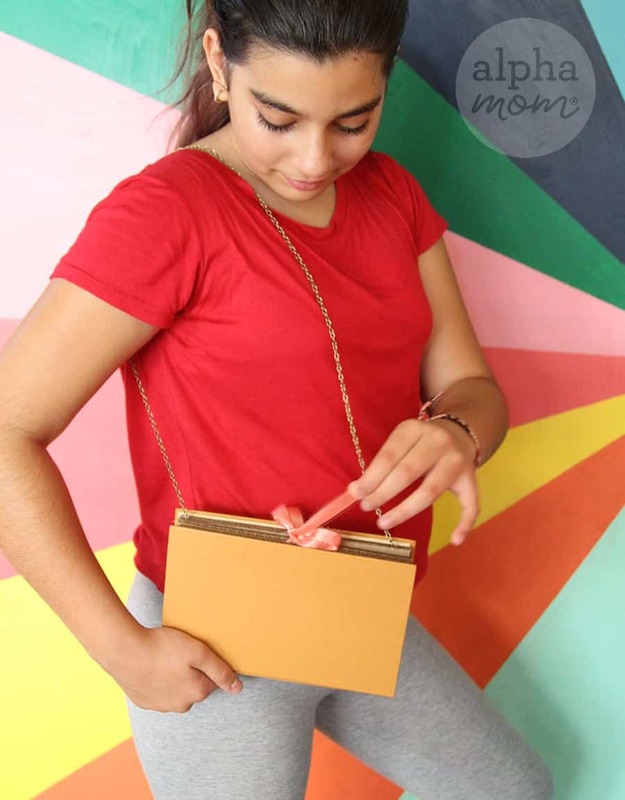 Using the ribbon all the way across will create extra strength for your purse construction. You can cover the ribbon with a piece of felt if you like and line your purse but we didn’t bother with that step. Step five: glue about an inch and a half of the chain to the short edges of your cardboard strips on one side like so (see above photo). This will create your purse handle. Step six: Glue your last layer (or more if you are making a thicker book) of cardboard on top of the chain and ribbon and other sides. This will enclose your ribbon and chain. Then close your book and you are ready to wear it! You’ll notice we bought some purse parts and attempted to make a coin purse style opening on the blue purse but I’m going to save you that headache. It worked but it wasn’t perfect. It involved fabric and sewing and it was a bit fussy. If you are super crafty though, you might want to try it! Here’s a shot of the inside. Just big enough to carry the essentials! Isn’t it cute? Perfectly fashionable!